Loads of newsprint and loads of Newsreels were devoted to the predictions of which film will win over the Box Office since both biggies Om Shanti Om (OSO) and Saawariya released on the same date. One movie had a beautiful debutante and the King of Bollywood (sorry purist, for using this term) and many other stars in favour of it while the other had two debutantes and a powerhouse director with a flair for grandeur matched by very few across the globe ! But then, what is the Box Office ? What do they mean when everybody from the Economic Times to the News Channels say OSO beat Sawaariya by Z millions etc etc ? As you can probably understand the Box Office is nothing but the Box at the front of a theatre which has the words ‘TICKETS’ written on it. Now, ‘trade analysts’ declare a movie a hit only if its Box office takings are at the top of the charts. But does that mean the producers made their money. Not really, in Bollywood and in the last few years especially, producers tend to recover their money through sale of distribution rights, music rights and merchandising rights alone. 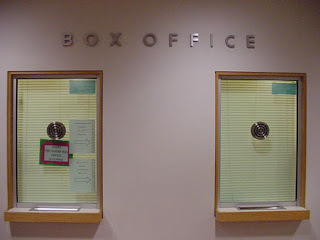 The Box Office takings affect the distributor and the theatre owner (sometimes it is a 50-50 sharing). There are various websites which offer rankings of Box Office takings of Hollywood flicks such as BoxOffice Mojo and ShowBiz Data. There are many other sites too but none really that give you a credible listing of Indian Movies and their Box Office takings ! Now, the Economic Times Intelligence Group has started a section devoted to this in association with a few multiplexes and distribution. You can view it on their website. Of course, we are not endorsing or authenticating any of these services but just sharing the info for the curious movie-goer in you. Now, the economically oriented ones among you may question, the movie rates were not the same 10 years ago (sigh ! I remember the days when the front row seats used to cost Rs.7.50 in Bangalore and now everything is in the range of Rs200) so how can you track the all-time grosser. Well, the answer is that most credible and industry oriented box office tracking service take into account inflation and have formulas to normalize the earnings so as to give a fair ranking ! Now, you have everything from opening day box office record to opening week box office records to all box office grossers ! Well, then happy Box Office Tracking ! Did you know? Sholay, considered one of the biggest hits in Indian Film history was a Box Office dud in its first few days and the actors even suggested pulling back the film and re-releasing it ! The word of mouth that it then generated went on to make it a hit ! According to the IMDB the all time highest grosser (without inflation adjustment) in USA is the Titanic with over $600 millions. And the lowest grossing know movie in cinema history is Zyzzyx Road (2006)which believe it or not made 30 Dollars at the box office from an estimated 6 viewers. The movie starring Tom Siezemore, Katherine Heigl and Leo Grill was made for USD 2 Millions and was closed in 6 days of release ! Sivaji, the boss (a movie in tamil starring Rajanikant) allegedly recovered all it investment and more even before the release through sale of distribution rights alone ! Here's a short clip of the interview. As part of my Diwali Dhamka ! Another gem of a movie in recent times. Will tell you more about it soon ! Nope, am not offering anything for sale ! Just giving you a gist of how a lot of my Diwali holidays were spent. Other than doing what I had to do, I got time to catch up on lots of movies (including a rewatch of Chak De India and many other movies) and a TV show ! First of all I will speak of the TV show which I watched all 3 seasons of ! Yup, all pretty much continuously. Entourage, HBO's TV series. HBO does come with some beauties. As the name says the series is all about the entourage of a star or celebrity ! in this case there is Vincent Chase(Adrian Grenier) a hot newly discovered star with his entourage made up of E or Eric (Kevin Connoly) who's also his manager, Johhny Drama (Kevin Dillion) who's also his half brother, Turtle (Jerry Ferrara), the very verbose Ari Gould (Jeremy Piven) and Shaun (Debi Mazar) who handles his PR. All in all The Entourage is made of an interesting set of individuals who keep you grinning from ear to ear. Mark Wahlberg is the Executive producer of this series. The series takes you into the inside working of the business in Hollywood, the star trappings, the deals, the movers and shakers. You have a host of actual stars playing themselves throughout the series and thats what makes this series interesting and a step above other 'inside-story' kind of series or movies. I thoroughly enjoyed watching this TV series because-Its cool, its got nice background scores, its funny and its got great performances. My favorite characters are E, Drama and Ari ! Watch this series and you will know why ! NOW FOR THE DIWALI BIGGIE ! This movie has been much talked about in India prior to its release. Primarily due to the fact that this movie had the king- Shahrukh Khan and the hot debutante Deepika, releasing on the same day as the Sony promoted Saawariya, directed by Sanjay Leela Bhansali and also starring two debutantes. I haven't watched Saawariya and nor do I plan to ! I watched Om Shanti Om along with a houseful multiplex theater and I wasn't disappointed at all. I absolutely enjoyed the movie. yes, it could have been a tad shorter and the screenplay swifter in the 2nd half, but then I had a great time. The story begins in the 70s with Om Prakash Makhija (Sharukh Khan) a junior artiste who is in love with the star Shantipriya (Deepika Padukone) and who dreams of becoming a star. He has his loyal friend Pappu (Shreyas Talpade) who is content being a junior artiste. there is the famous producer Mukesh mehra (Arjun Rampal) A chance encounter allows Om to begin a friendship with Shantipriya. Do things change ? Does Shantipriya know of Om's desire. Well, this story does not have a happy ending. The first half is hilarious and you really are amused by the whole 70s settings and the entertaining cliches (including a young Sooraj Bharjatiya, wearing a 'friend' cap,copying lines etc). The 2nd half of the movie is set in the modern day and you have Om Kapoor (Shahrukh Khan), a starchild and a star and yes, you guessed right, a reincarnation of the old Om Prakash Makhija who now has to take revenge (just Like Karma, the famous reincarnation drama in hindi cinema). In fact, the movie begins with a tribute to Karma. There are multiple references to movies of the 70s as well. The modern day sequences are again entertaining and the Filmfare Awards sequence is absolutely hilarious with real life stars acting in it. Shahrukh Khan has the courage to laugh at himself with display of his repetitive roles and cinema (a thing of the past I surely believe). The Akshay Kumar sequence is hilarious to the core and he is absolutely entertaining, the short while that he is on screen. The tale of reincarnation and revenge has a twist too, although not entirely unpredictable ! Shahrukh Khan is absolutely brilliant and all his mannerisms only add to the role he plays ! There is the now famous song with about 30 stars in it and that song is a treat to watch not only for the stars but for the choreography which is so well done ! All the main characters put in good performances. Deepika is so unbelievably good lookinga and does extremely well ! Farah Khan does a good job of story and direction after Main Hoon Na and sticks to the pattern of establishing a base peppered with comedy in the first half with the serious action and climax in the 2nd half. Some intelligent and awesome product placement really spruces up the presentation of this movie ! All those marketers and media buyers can surely learn a thing or two ! Basically paisa vasool ! After Chak De India, Shahrukh is among my favorite Indian film stars. This movie does one thing and does it well-Entertains ! A must watch for anyone who watches Hindi movies. Yes, if it was a tad shorter, the movie would have been a few notches higher.